Sept. 4, 2018 | LITTLE ROCK — Angela Norman, D.N.P., has been named the director of the Centers on Aging, a program of the Donald W. Reynolds Institute on Aging at the University of Arkansas for Medical Sciences (UAMS). Norman succeeds Claudia Beverly, Ph.D., R.N., who retired last year. The Reynold Institute’s network of seven Centers on Aging seeks to improve the quality of life for older adults and their families in the areas they serve by providing older Arkansans with local access to specialized educational and clinical care. 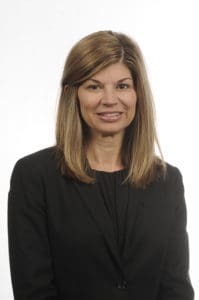 In 2000, Norman earned her master’s degree in nursing science at UAMS, and in 2011, her doctor of nursing practice degree in the Geriatric Program at the University of Tennessee Health Science Center in Memphis. Since January 2016, Norman has served as an associate director of the Centers on Aging, and from 2011 to 2018 she served as the center director of the South Arkansas Center on Aging in El Dorado. From 2007 to 2011, she was the director of Nursing and Continuing Education and the director of Community Outreach at the UAMS South Regional Campus in El Dorado.